This week I have actually been doing a lot related to Korean. To the point where I have even been dreaming about Korean. Essay writing: I wrote an essay this week! It’s been such a long time since I last wrote something, but it’s not as bad as I feared it would be. Texting: I’ve been texting with my LP and a few others in Korean. That sort of goes with writing; you need to find an appropriate grammatical structure to say what you really want to say. However, I need to develop my grammar more. I have also been speaking a little and reading the essay out loud with my language partner. I think my pronunciation isn’t too bad, but I really need to focus and listen very carefully to be able to understand what I’m asked. Then there is of course the issue of being able to formulate a somewhat coherent reply on the spot. In London I bought some small word cards, and I find them super useful. I bought three sets of each £1 in a Japanese book store, and whenever I learn a new word in language exchange, I write it down. Three sets should keep me going for a while, but it’s so much cheaper and easier than creating my own by cutting blank business cards into several word cards. I try to make a point of reviewing the new vocabulary on the way home from my language exchange while on the train and again in the evening. I’ve watched the one episode of 오만과 편견 that aired this week (with subtitles since I didn’t catch the raw one in time). Sadly the other episode was preempted due to a football match. I try to watch the episodes both raw and with subtitles, because not having subtitles forces me to focus more on what’s said and on any written things that the camera focuses on, while the subtitles allow me to fill in the blanks. This entry was posted in TOPIK 중급 and tagged Grammar, Listening, Vocabulary on November 23, 2014 by Mai. In need of ideas for how to use flashcards? I have used flashcards on/off in my language studies. Has it helped me? I would like to think so. Many learners are quite negative when flashcards are brought up in discussions, but a little imagination can go a long way. Martin Sketchley, who works as an English teacher, has compiled a list of ways in which you can use flashcards. Who knows, you might even end up finding them entertaining! Check out this post at his blog ELT Experiences for 10 ideas for how to use flashcards in a classroom setting. Most of them can easily be adapted to a language exchange so there is no need to attend a class to make it work. This entry was posted in favorite posts by other bloggers and tagged Flashcards, Grammar, Learning methods, Memory, Vocabulary on June 5, 2014 by Mai. In the comments section to the review of the Sogang books here on the blog, Walter shared a link to Sogang’s website where it is possible to download answer keys for the first four levels of the Sogang work books. 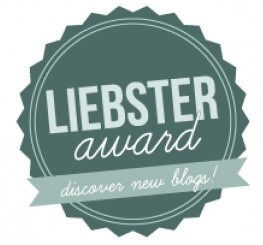 I thought this was probably too important for many readers to not dedicate a post to it. While I found a lot of great things in general through the link, I had problems downloading the file from the front page. Instead I was successful downloading from this part of the site. Maybe I made the mistake of asking it to open instead of save as the first time? Either way, asking it to open directly only brought me trouble while it worked the second time when I first saved the zip-file and then opened it afterwards. 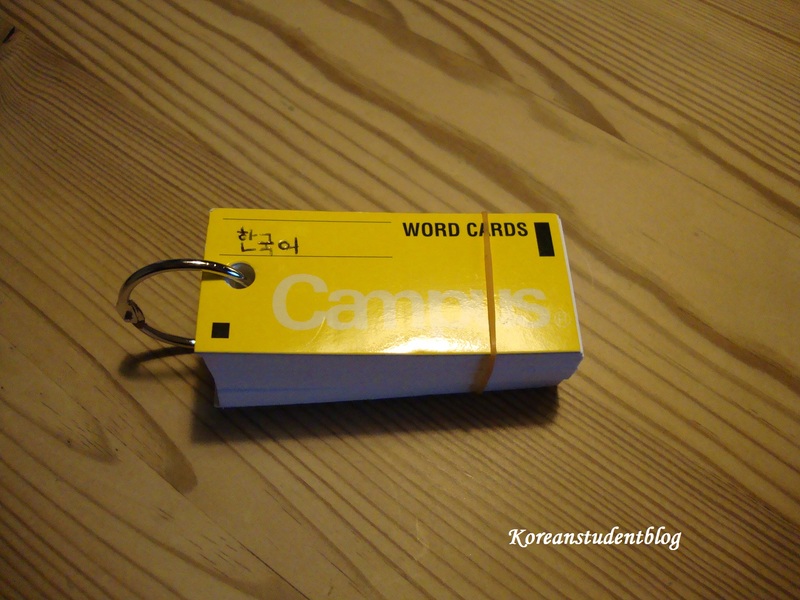 This entry was posted in Book reviews, Grammar and tagged Exercises, Grammar, Sogang workbook on October 26, 2013 by Mai. Today I found Alice’s blog about living, studying (and working) in Korea. Her post about playing an instrument made me think since I too used to play. To be honest, instuments have been on my mind a few times this week since I found out that a guy in my class used to play the clarinet like me (what a coincidence), and it used to be a relatively big part of my life as a teen. Ok, a little disclaimer here: I was no prodigy, I played only a few years and had to be reminded to practice fairly often. I was regularly praised by my teacher, but when he suggested I join an orchestra I was not convinced I could manage. – It helps you focus: you have to think about what you’re doing when playing an instrument. – You improve your ability to combine thinking and acting: reading notes while doing one thing with left hand and another thing with the right hand. – You improve your ability to see patterns. Then of course there are the character aspects that Alice also mentions: to become a good musician, you have to keep going even when it’s tough, it doesn’t sound right, and you would much rather do pretty much anything else. Why is it worth considering in the sphere of languages? Nowadays people’s ability to concentrate seems to be close to non-existent. When looking at my classmates, people are constantly somewhere else mentally, be it on facebook, a news site or doing something else that is completely unrelated to the lecture they are supposed to be following. And this is graduate school… These are the people who have supposedly picked a programme that actually appealed to them. When was the last time we did something and allowed it to absorb us completely? I have yet to meet someone who managed to update facebook, check the news, text a few friends and play Bach on violin at the same time… However, I have met people who seem to think it is perfectly possible if the activity you should be doing is learning something academic. I’ve met people who can barely remember their own phone number and say about everything “I can always look it up”. And yes, we can most of the time, but even though knowing things by heart can be an aweful lof of work, it just helps tremendously if you don’t have to look up the most basic things. If your prof can make you feel embarrassed about not remembering something then imagine the day someone is paying you to know. In some professions, you might even end up with a liability suit if you don’t know and someone makes a very expensive mistake because of it. Playing music helps us tune our memory as most teachers will include some element of rote learning even if not following the Suzuki system. One thing that annoys me when studying Korean is looking up the same word every few pages. Being able to see and remember patterns, similarities and differences is the learner’s version of finding a gold mine. This is something that is automatically trained when playing music, but it comes in really, really handy when you’re studying grammar patterns and vocabulary too! Playing an instrument is not always associated with happiness and rainbows, but that being said, it can be quite fun too. So why did I quit playing? There are several reasons for that… Work load to get the grades for my uni programme, vocational training classical ballet on the side, and some other things which were relevant for my decision, but I will not burden you with in this post. I sometimes miss playing and when I go to see a performance the place my teacher still plays, I always listen for his warm-up routine if I cannot make my way to the orchestra pit before the performance. I have played since then, sometimes just for fun, other times as a way to let out frustration in a socially acceptable way. And practicing scales has also proven a brilliant way to retaliate against a particularly noisy neighbour after a night of particularly loud second-hand party music. Out of curiosity, how many of you play an instrument or used to play? Which instrument? This entry was posted in Korean learning journey and tagged Discipline, Grammar, Learning, Memory, Music, Patterns on October 17, 2013 by Mai.